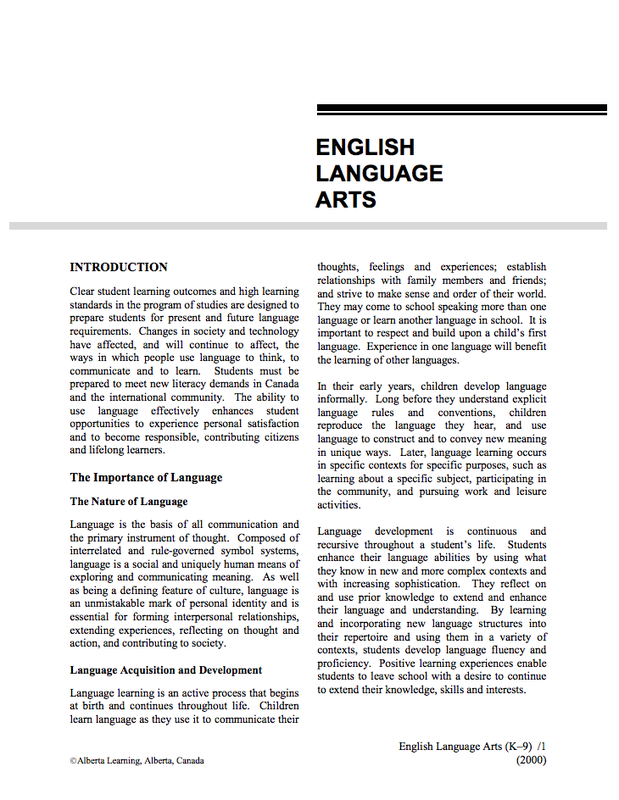 The University of Lethbridge has a comprehensive database of resources for teachers. 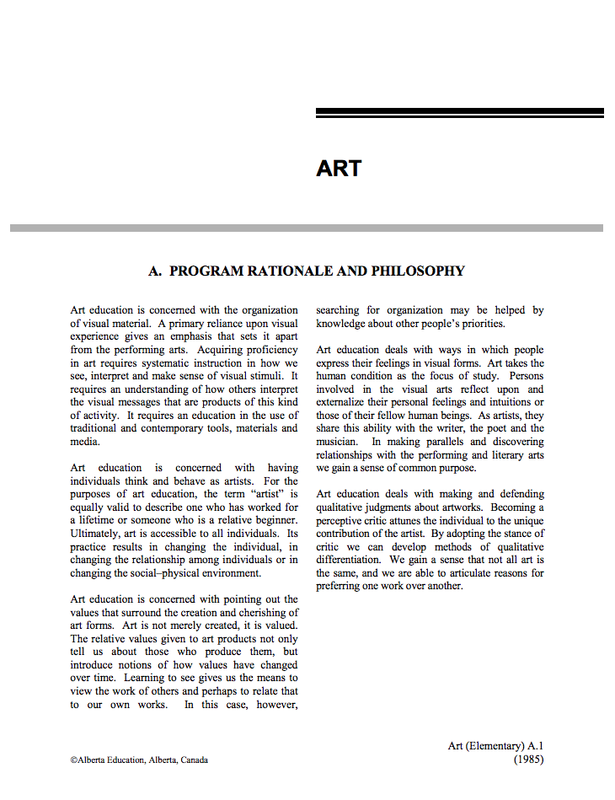 It can be found and accessed here (see tab titled "resources"). 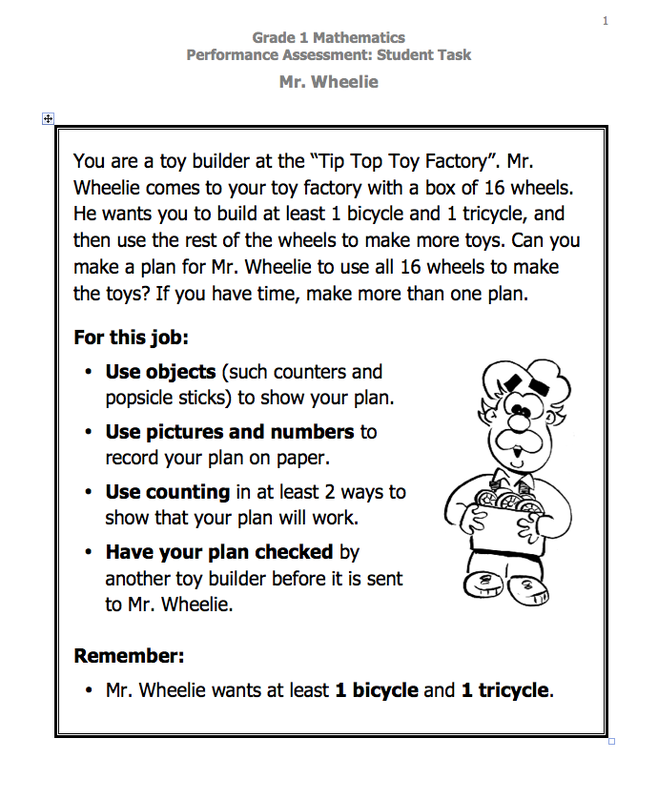 Be sure to see the Illustrative Examples by grade level. 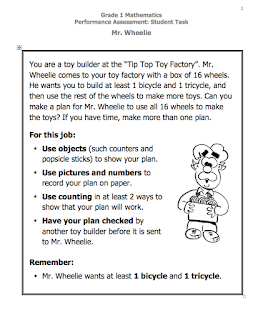 They include unit and lesson ideas that demonstrate what students CAN do at this grade level, what does the outcome LOOK like. 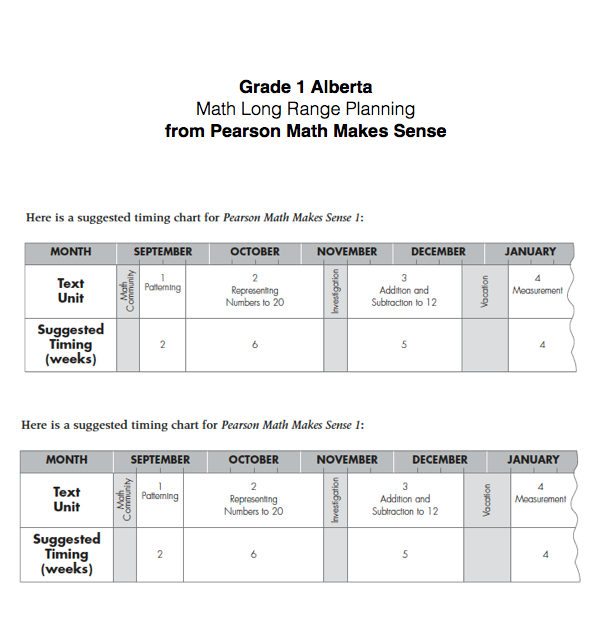 Using your provincial recommended resource, Pearson Math Makes Sense, or Chenalière in French, is especially helpful when teaching math. 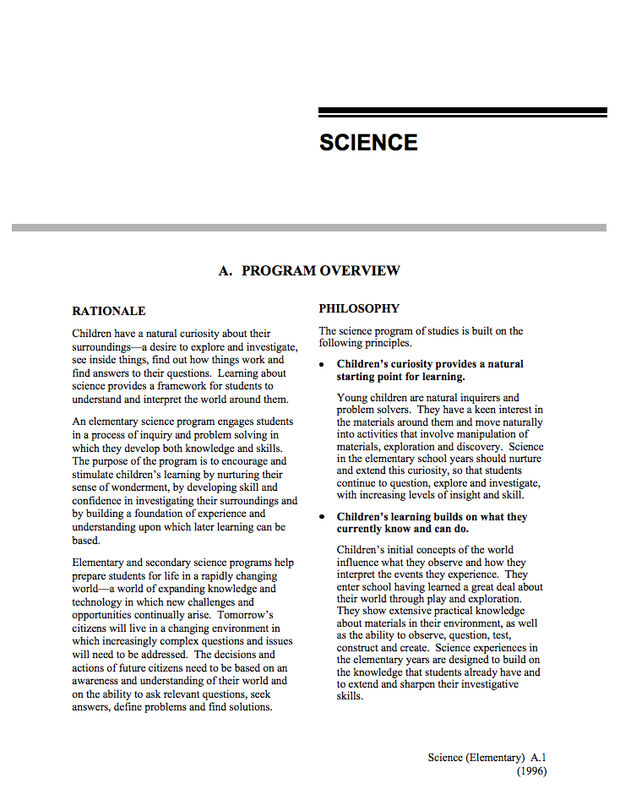 You get an idea of how long each concept should take, lessons are clear and assessment is included. As you gain experience you will certainly want supplement this resource, I have found it to be a great place to start. 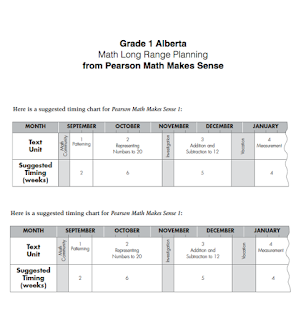 Pearson provides this suggested timing chart for the year in each resrouce binder for each year (look under the planning and assessment tab, unit planning), very helpful for long range planning. 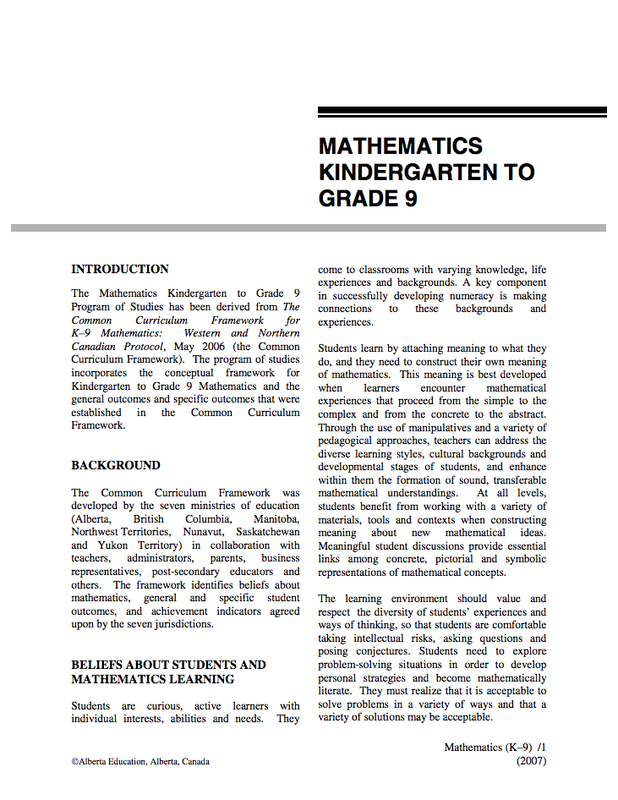 I've never had a math textbook for students but the teacher's guide and PDFs have always been available. 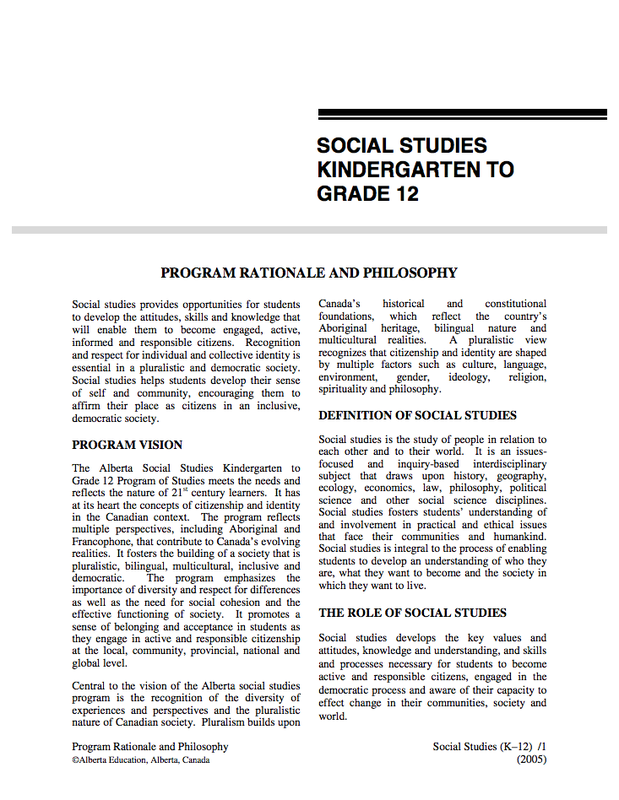 Each edition has a CD, I suggest installing it onto your laptop and home computer so that you always have it for quick reference (same for the provincial Social Studies resource). 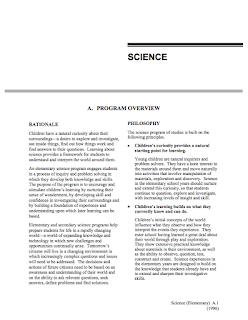 The Pearson (Chenalière in French) teacher guide also breaks down each unit as it relates to our specific provincial outcomes. I always use the pre-unit checklist . 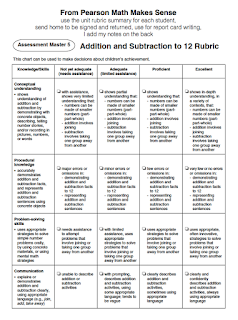 . .
and complete the post-unit rubric, I send the completed rubric home stapled to assignment and quiz samples, it has some notes from me and parents are asked to sign it and return it. 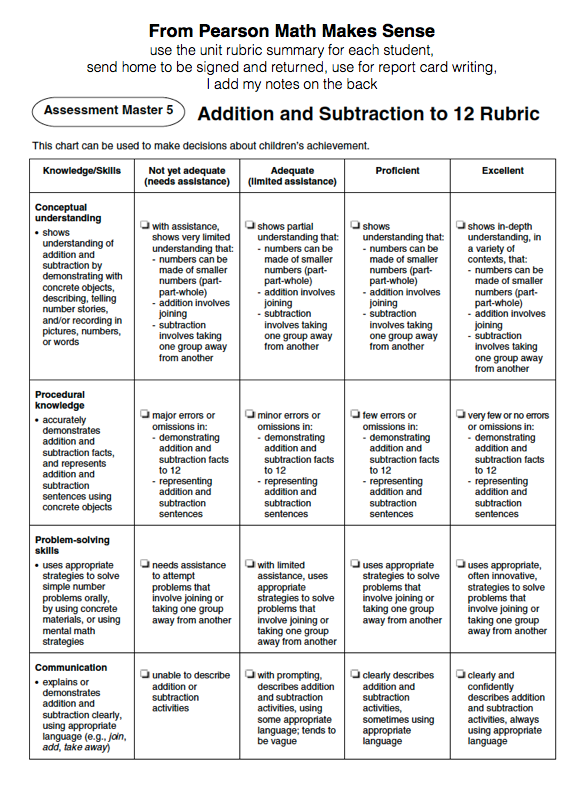 I find these 2 documents make report cards much easier. 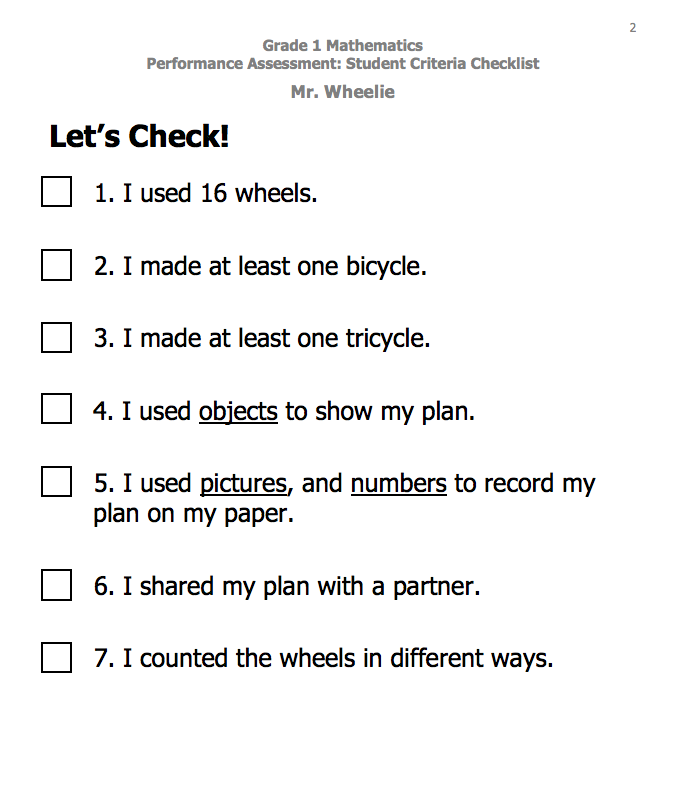 I keep these handy during student-led conferences. 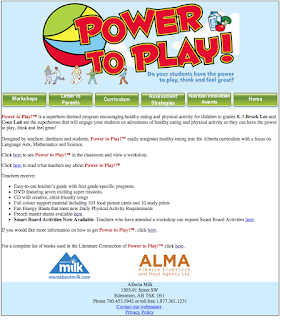 This is a project example from the free portion of the site Alberta Assessment Consortium. 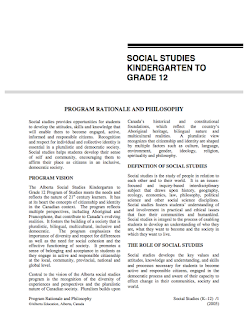 The projects are culminating, summative assessment tasks based on high priority learner outcomes and provide students with the opportunity to demonstrate what they know and can do in an authentic, real-life context. 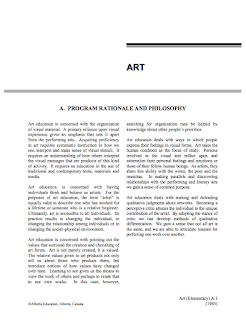 New tasks are added on an ongoing basis. 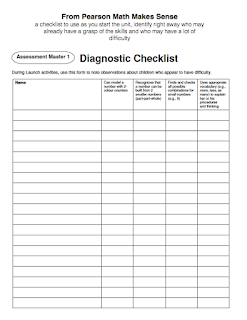 The projects are engaging, they often integrate subjects and most importantly they provide first-rate assessment tools (printable, downloadable). 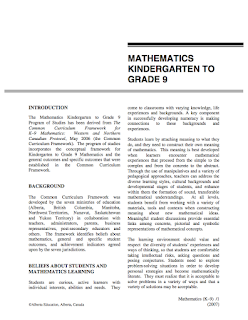 The projects (there are only 2-3 per grade) often include options for differentiation, SMART notebook files, supporting muli-media, and student exemplars. 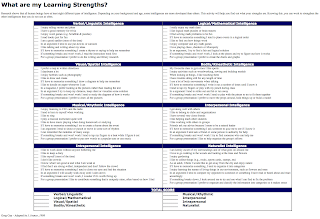 I have seen this Alberta Assessment Consortium print resource in Rocky View Schools and I believe that district has a membership to the site. 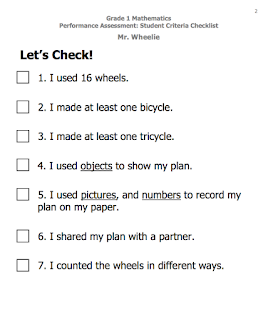 Even the few that are posted are helpful for designing your own performance assessments. 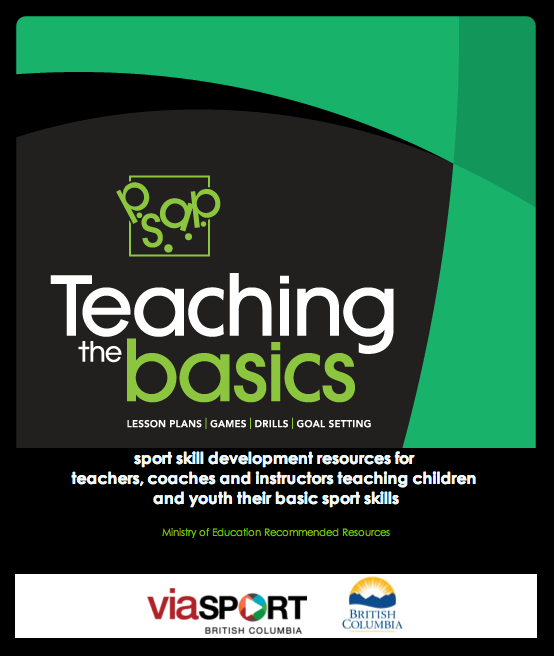 The workshop is free, plan to arrange for classroom or school funds to buy the kit(s). 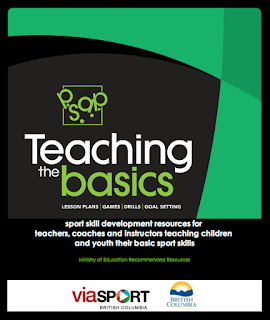 Lessons, assessment ideas and templates are free and downloadable online from their website. The kit is not available in French but the templates are in French online. They do a good job of integrating some of the health and PE outcomes. Good for those days when the gym isn't available because of a Christmas concert or special presentation, great for sub days. I do at least one Power to Play project per term, and keep it prepped in my sub file. A pre-made, canned resource may not hit the inquiry and Project Based note but it's helpful when you're sick and can't plan. 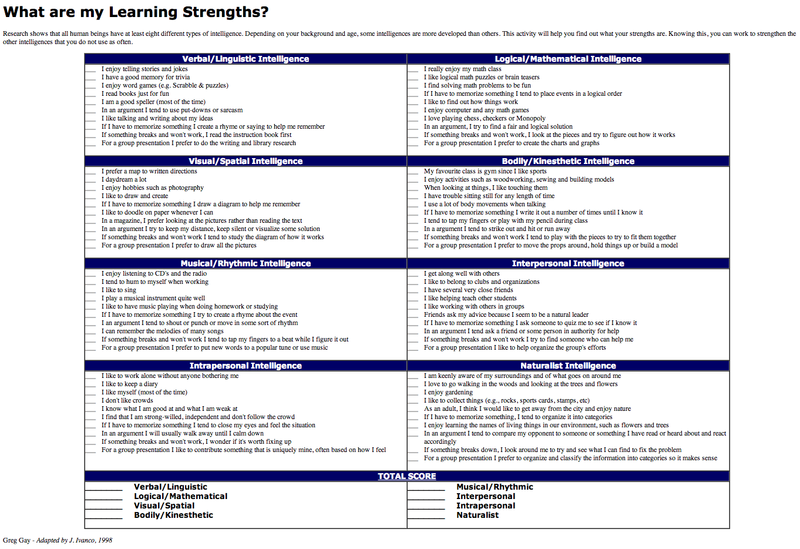 Students and parents may complete a multiple intelligences assessment at the beginning of the year. 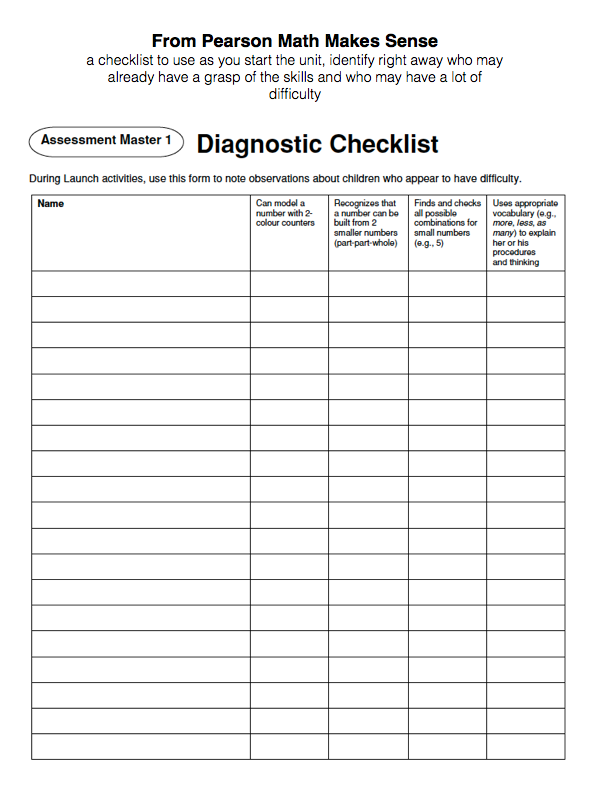 This link contains online assessments for children and adults as well as a printable version (pictured here). 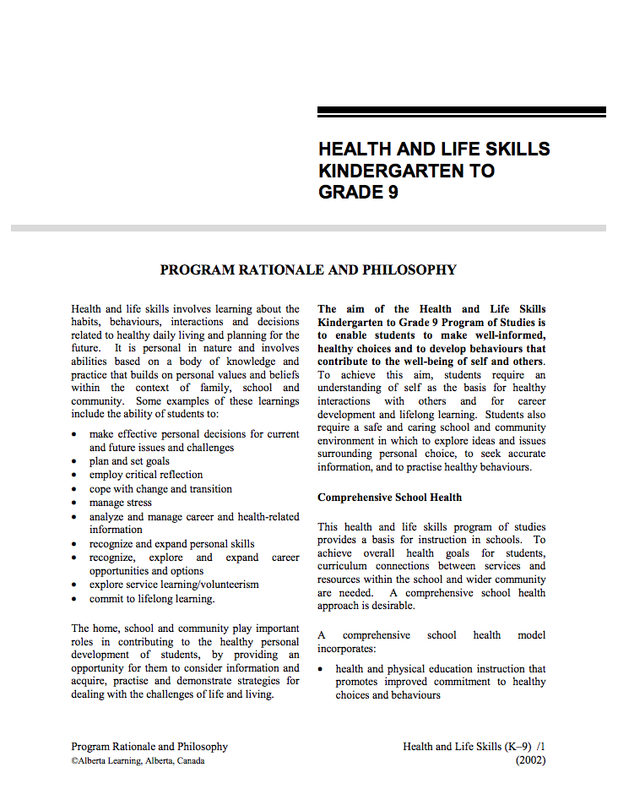 By getting to know your students this way early in the year you; gain the trust and confidence of parents, are mindful of the varying strengths of your students, have already addressed some of the learning outcomes related to life learning choices in the Health (Life Skills) Program of Studies. 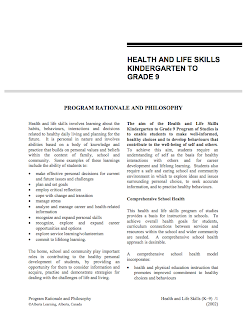 Your school may promote special programs like The 7 Habits Leader in Me or The Heart of the Matter Character Education and Citizenship or Bucket Fillers. Wherever possible look for natural integration of school wide initiatives into your learning outcomes so that these initiatives aren't "extra" but are truly part of your program. 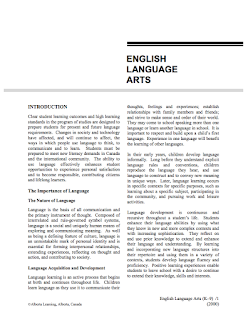 I did this workshop 13 years ago and still love this resource. It keeps you away from months of tag and dodgeball games and gives the non-athlete a very easy template to follow. 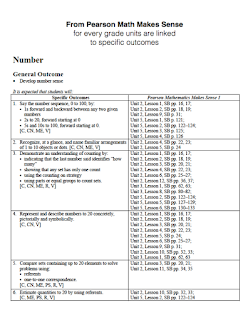 Best, best, best feature; at the end of the unit students choose their level of performance assessment. 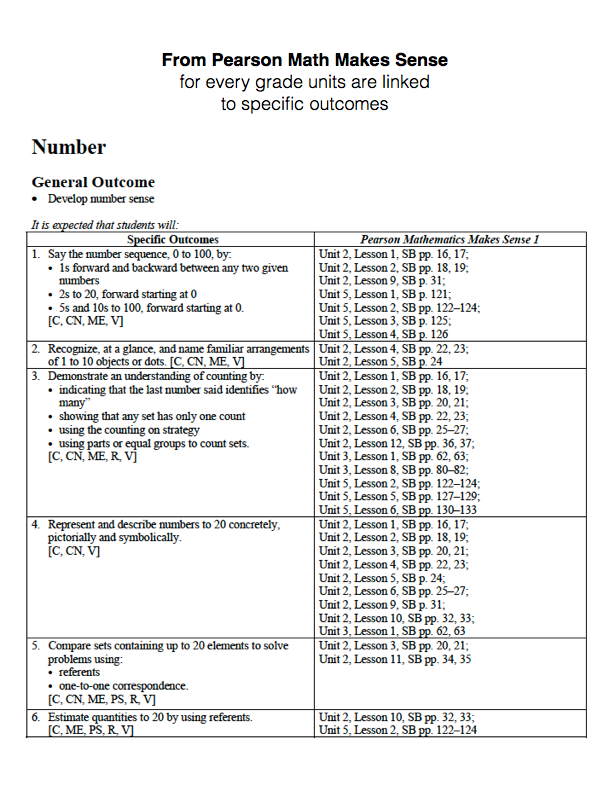 It describes how to set up the assessment and students can self score whether or not they met their goal (ie: basketball, throw the ball with proper shooting technique 10 times and hit anywhere on the back board, record how many you achieve out of 10). It's differentiated, self-directed, you can level-up, love it. 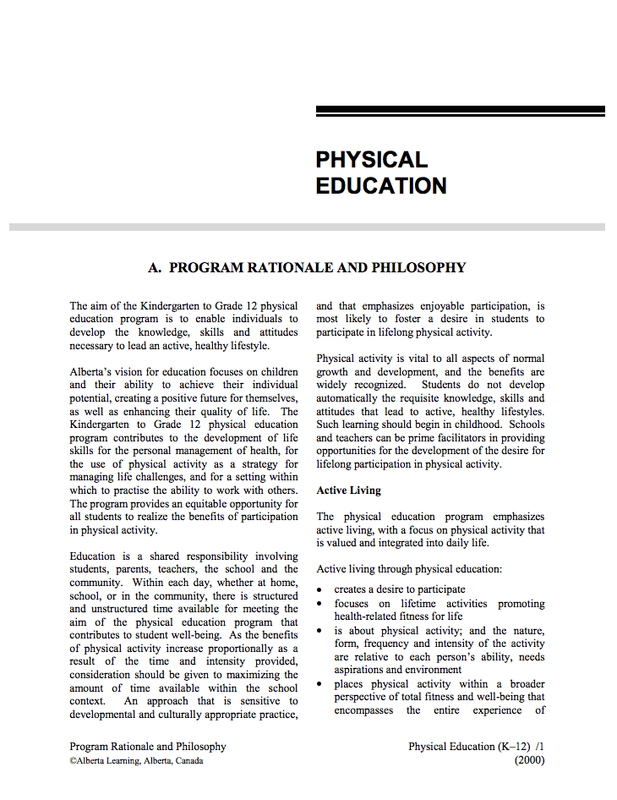 École Edwards Physical Education School-wide long range plan. Although this school wide LRP is not very specific, having a school wide long range plan means that time is saved taking out and putting away equipment. For gymnastics units the equipment stays out and is set up for the entire month. 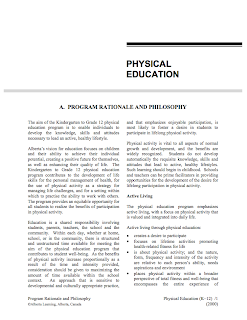 This was an extremely efficient way to use our physical education time and to be sure we were meeting the goals of the Daily Physical Activity Initiative (DPA).